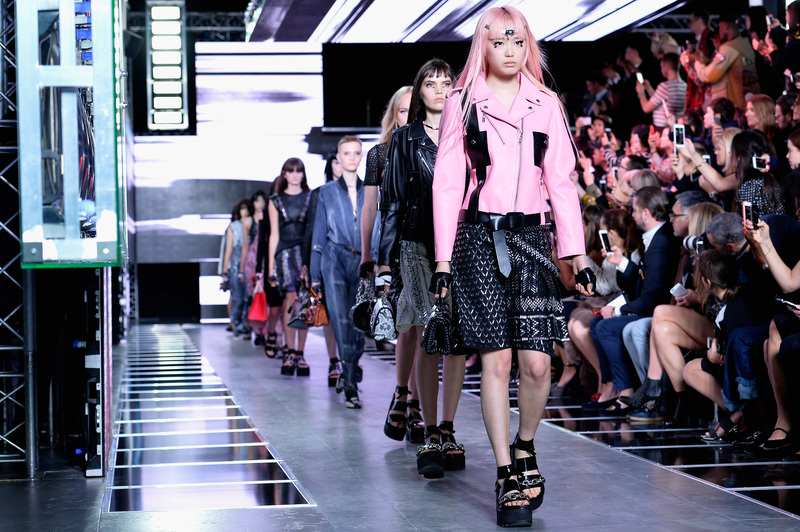 On Thursday, France passed a law banning very thin fashion models, according to WWD. The new legislation dictates that models must present a note from a doctor stating that they are healthy enough, the publication reports. The law hopes to combat eating disorders such as anorexia and bulimia in the fashion industry. This past spring, the French parliament voted in favor of the law banning fashion models below a certain BMI, sparking a discussion about whether or not it would promote unfair discrimination, given that, as Bustle's Marie Southard Ospina points out, “BMI cannot tell you whether a person has anorexia or whether a person is simply naturally slender. And this is where things begin to get murky.” Some people have eating disorders and stay above the proposed BMI, while others are perfectly healthy but fall below the line. Here's to hoping this new legislation focuses more on the health of the models, rather than on a number. If fashion houses or modeling agencies don't comply with the legislation, they could face six months in prison and be charged some serious money — 75,000 euros (about $80,000), according to Racked. The new law also states that any commercial photos of the models that have been photoshopped have to be marked as a "retouched photo." If they violate that rule they could be fined 37,500 euros (about $40,000). France isn't the first place to adopt a ban on very thin models. Multiple countries are trying to enforce "ethical fashion" legislation in order to promote healthy bodies in the fashion industry, reports Groundswell. In March 2012, Israel adopted a law that prevents any model under a BMI of 18.5 from pursuing a career in the country, according to ABC News. In 2006, Madrid Fashion Week began enforcing restrictions that turned away any model under a BMI of 18. According to BBC, about one-third of models who participated in the event in 2005 weren't allowed back in 2006. The fashion industry in Denmark relies more on industry pressure rather than legislative action to combat the problem of unhealthy models, according to Groundswell. The Danish Fashion Ethical Charter aims to keep models healthy while also raising awareness about eating disorders. In 2007, Italy banned ultra thin models from walking the runway in Milan, according the The Guardian. The models must present a BMI of at least 18.5 and must be at least 16 years old to participate in the event. In 2007, The Council of Fashion Designers of America (CFDA) created a health initiative for models in the industry, according to the CFDA. Rather than imposing a law, the initiative hopes to spread awareness and focus on the well-being of the models.